Unnes Physics Education Journal is an integrated forum for communicating scientific advances in the field of education physics. The journal reports significant new findings related to education physics, including: learning media development, learning methods development, learning methods implementation and several application of physics. 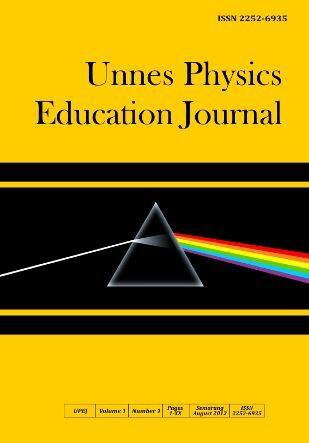 Unnes Physics Education Journal publishes comprehensive research articles and invited reviews by leading expert in the field. Papers will be selected that high scientific merit, impart important new knowledge, and are of high interest to education physics community.